Retro paint colors have us falling in love right now. Neutral colors have ruled the interior design world for years, but now we’re seeing exciting new colors everywhere. Though the colors we’re seeing may seem new, many are flashbacks to more colorful palettes of the past. The paint and decor colors of the 1970s are making their way back into today’s color palettes. The 70s design trends moved away from the bright and psychedelic colors of the 1960s into more natural colors. These 1970s natural colors were far from neutral; they came from the more colorful elements of nature. Everything from paint color and carpets to stoves and refrigerators could be found in colors like Avocado Green, Harvest Gold and Burnt Orange. 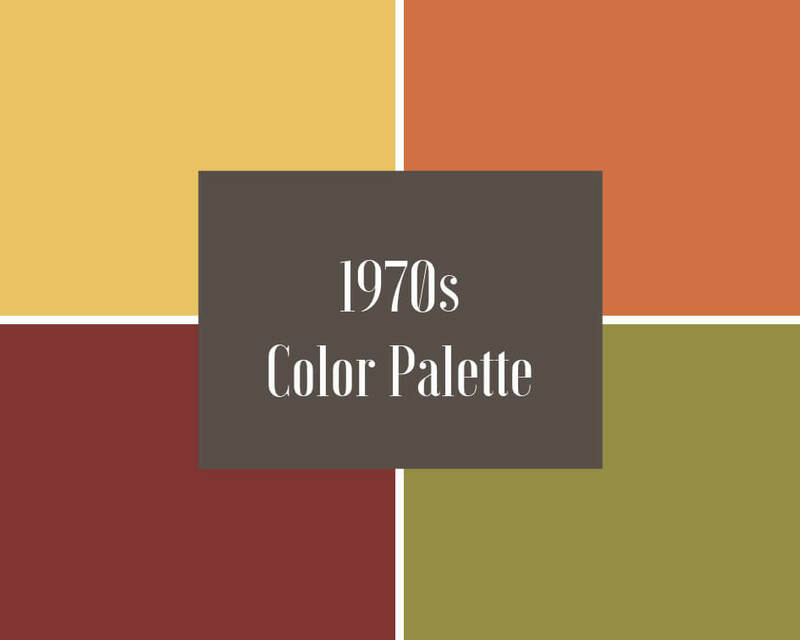 Though the industry may have gone overboard with these iconic colors in the 1970s, many have been reformulated for today’s homes. Mid-Century Modern – This decorating style is associated with the 1950s and 1960s, but the earth-inspired colors of the 1970s made their way into mid-century homes as homeowners redecorated over the years. Lodge Style – The rich greens and warm reds of 1970s palettes are a great fit for rustic rooms with lots of natural stone and wood. Exterior Color Schemes – The typical beige and gray exterior color palettes are now being joined by richer colors like deep gold and dark blue for dramatic curb appeal. 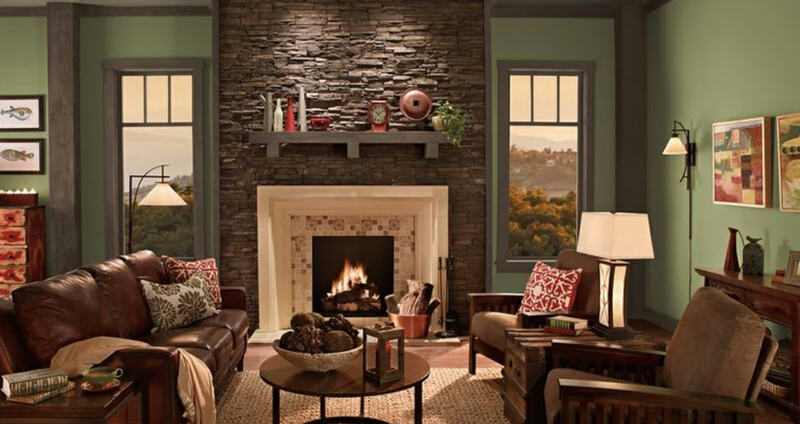 Family Room Color Palette – Earthy colors inspire socializing and relaxing together in a warm and unpretentious way. You probably won’t want to recreate a totally 1970s color palette for your home unless you’re looking for a completely retro look, but you can find inspiration from these gorgeous shades in today’s most popular paint colors. Harvest Gold is the most recognizable color from the 1970s era. This warm and inviting gold was the focal point of kitchens, popping up on appliances, linoleum floors and even wallpaper. Decorators in the 1970s used Harvest Gold as a neutral, the way we use beige and gray today. When the color schemes of the 1980s were developed, Harvest Gold was the last of the 70s colors to get phased out because it was so popular. Gold can be a dynamic color in any decorating color scheme, but finding the perfect one can be elusive. This is definitely a color that needs to be tested on your wall before committing. As proof that Avocado Green is still popular, many paint brands still include it in their color palettes. 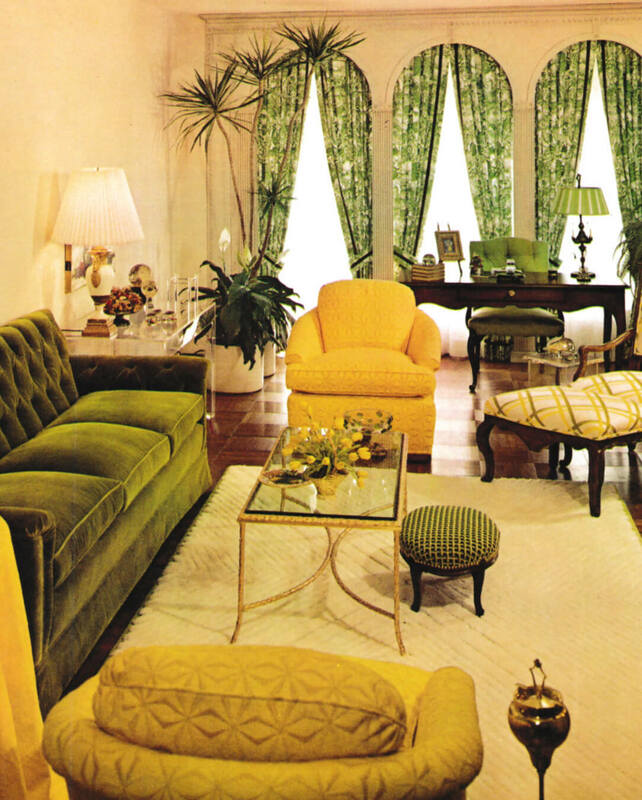 Of all the iconic 1970s paint colors, avocado green was the most versatile. It has evolved slightly as a paint color. The new shades are less muted and more dynamic. Burnt Orange was a big part of the 1970s decorating scene. Decorators and homeowners weren’t shy about including it in most designs, even for carpeting and countertops. While we don’t recommend carpeting your house in orange, this vibrant color can still have a place in your palette. 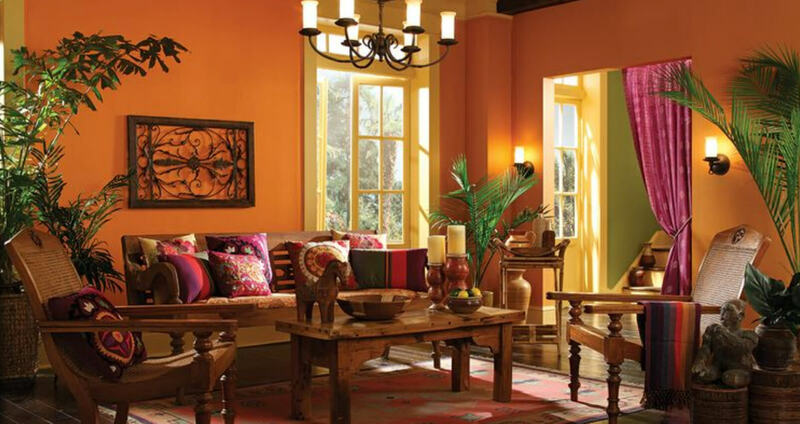 Today’s orange paint colors are softer and could be the warm accent color your kitchen or dining room needs. Autumn Brown was a rich and rustic brown that was popular in 1970s decorating. Even though this brown was dark, it had a soft and muted look. Today’s popular brown paint colors are crisper and more neutral. The right brown can anchor a rustic neutral color palette or complement pastels in a contemporary space, but watch for unexpected undertones. Dark brown can also be used in place of black or navy blue in almost any color scheme. Barn Red was just one of the popular red shades in the 1970s. 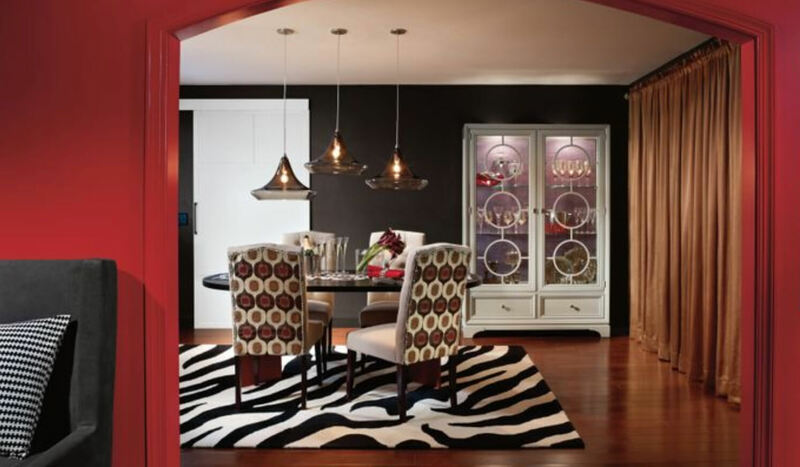 Today, it’s still easy to add red to most interior decorating styles, especially as an accent color. The most popular 1970s red was warm and earthy, rounding out a palette that could be easily considered autumnal. There will always be a place for red, both cool and warm, in home decorating. If you love the color but can’t find a way to incorporate it into your home’s interior color palette, it can also be the perfect color for your front door and exterior accents. The post Get Inspired By This 1970s Color Flashback appeared first on Freshome.com.